When I was growing up, my Mamaw would make my family a really killer dessert called Chocolate Pie Cake. Now, I'm going to be upfront with you guys -- I have no idea why we started calling that! It's definitely more of a pie than a cake, so I'm not sure where the cake part came in at all! But for whatever reason, the name has stuck and now in my family Chocolate Pie Cake is synonymous with amazing! I was craving some last week so I decided to go ahead and whip one up, and I'm so glad I did! Mr. L has also become a fan of this dessert over the past few years, and who can blame him? It's rich, creamy, cool, and absolutely delicious. If it weren't for me "donating" the rest of it to Mr. L's work, I'm pretty sure I could've eaten the whole thing by myself! And as a side note, I wasn't able to find a chocolate pie crust at the grocery store, so I ended up using an Oreo pie crust. If you can find a chocolate one, use it instead! My mom has told me she normally finds them at Wal-Mart and I've had luck since making this first pie at Harris Teeter. Be sure to give it a try so you can fall in love with it too! With either a stand mixer or a hand mixer, combine softened cream cheese and powdered sugar. Add sour cream, vanilla, and whipped topping to the cream cheese mixture and combine thoroughly. Then grate one square of chocolate into the mixture and stir until evenly distributed. 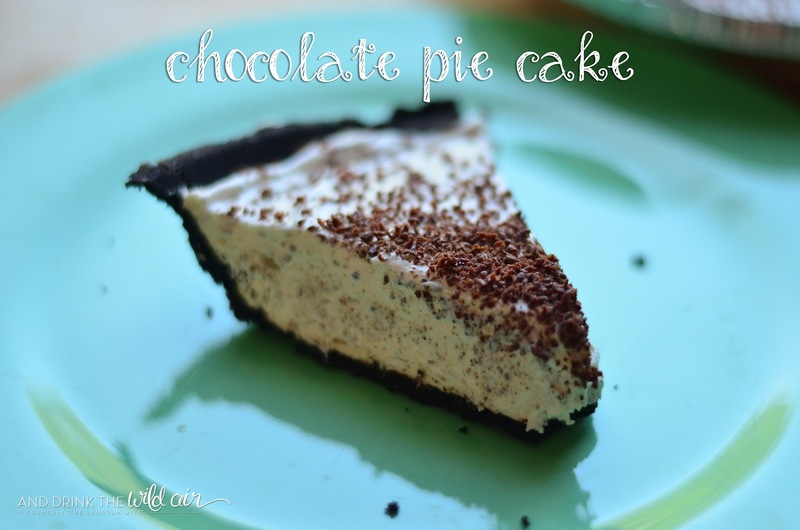 Pour mixture into the chocolate pie crust and spread evenly. Grate the second chocolate square over the top of the pie for a nice garnish. Chill for two to three hours or longer. Then serve and enjoy!